Spacious, inviting and hip. 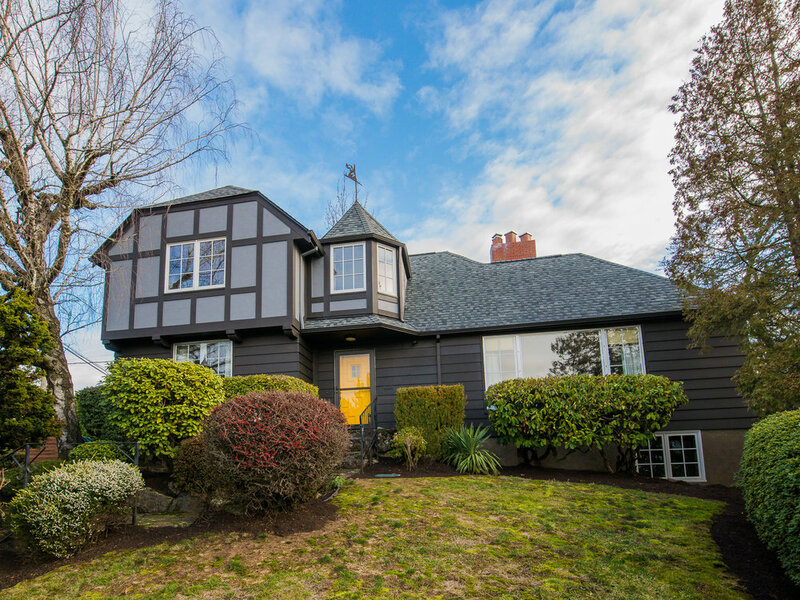 Full of classic details perched on the desirable Alameda ridge. 3 bed · 2.5 bath · 3436 sq. 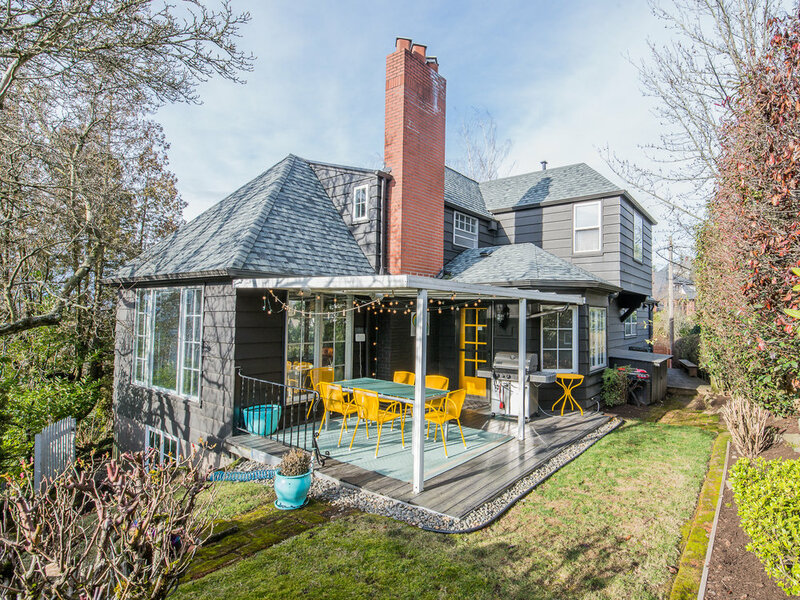 ft.
Classic details & pride of ownership with a cool Portland vibe in the desirable Alameda Neighborhood. 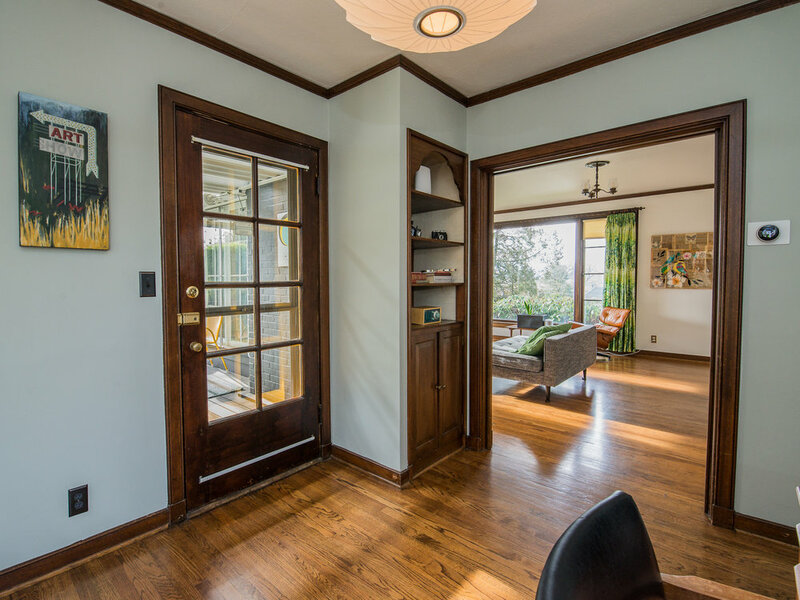 Lovely oak hardwood floors, natural woodwork, interior french doors and beautiful built-ins throughout. The expansive main level is ideal for entertaining while the upper floor contains 3 bedrooms and added upgrades. Current owners have thoughtfully preserved and restored the best of the Tudor style while successfully marrying the hip vibes of mod decor. 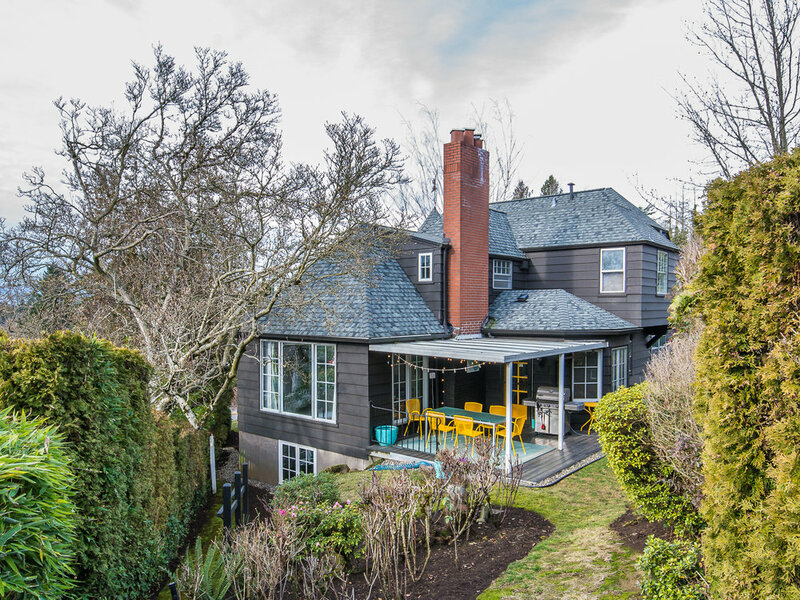 Perched on Alameda Ridge with stunning views of downtown and blocks away from popular shops of both Beaumont and Fremont, this home is what Portland is all about. 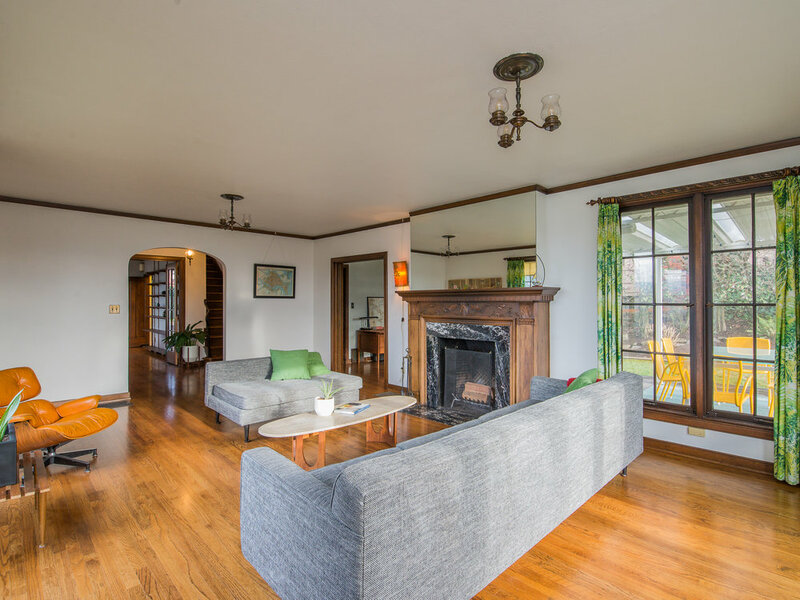 A gracious connected layout on the main with classic proportions. 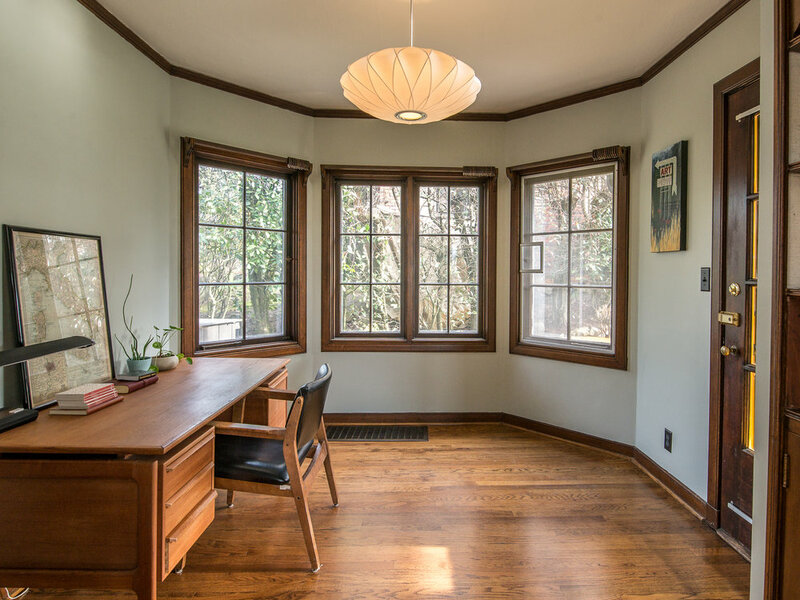 Wide windows, pass throughs and built-ins are outlined and accentuated by the unfinished woodwork. Relax in front of the fireplace in the living room or tuck away in the office with bay window. The large dining room comfortably hosts many. 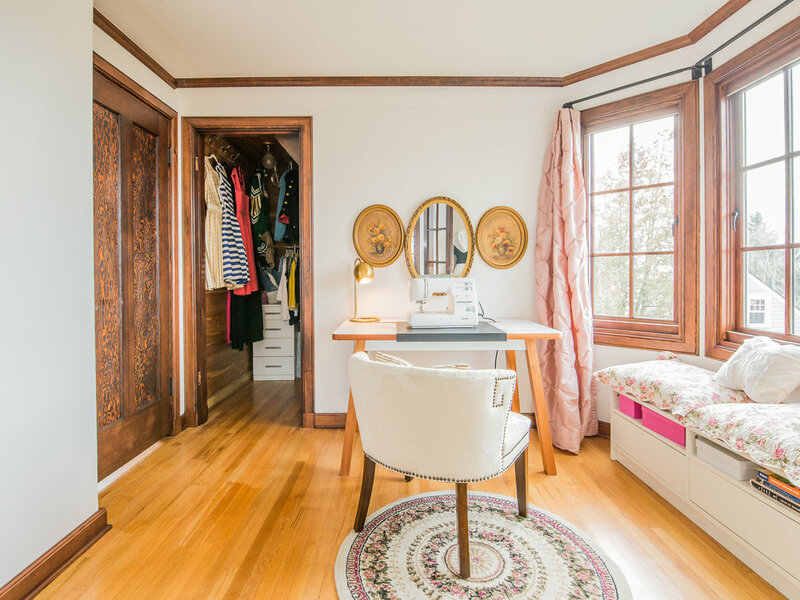 Original finishes with an updated vibe - beautiful period inspired built-ins and hip modern lighting are found in several areas of the home. 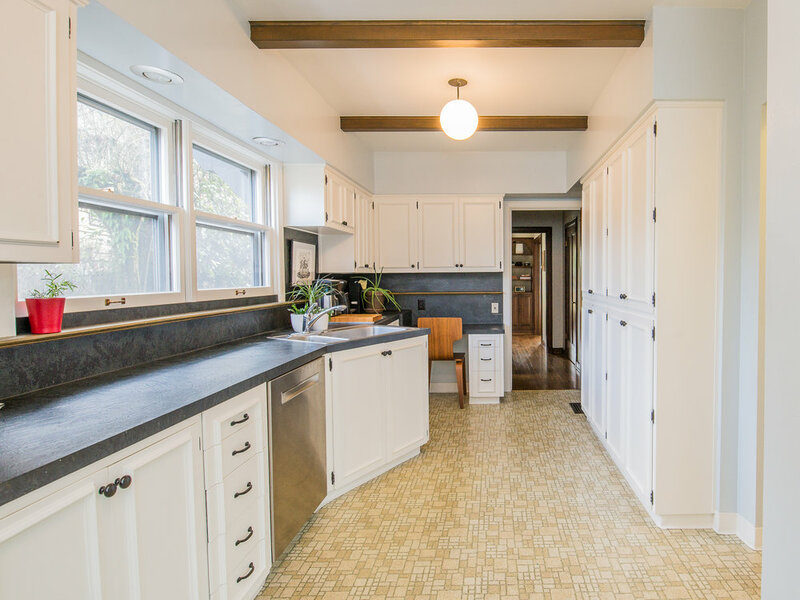 Many work stations abound in the kitchen that spans half the length of the house. With pantry for plenty of food storage and a hallway with built-in linen storage, space is never lacking. Overhead beams visually break up the length of the space and tie-in with the other natural woodwork throughout the home. The attached breakfast room features vintage wallpaper that is a stunning and fun pop of color and oh-so Portland. A bright and cheerful space to start your day. This 3 bedroom and 2.5 bath home features a unique layout. All 3 upper floor bedrooms do not share a wall with each other. Each is located on a separate side of the hallway, offering private and quiet spaces. The master bedroom with new noise-reducing windows and attached dressing room/boudoir/nursery/office features french doors, creating additional separate space for privacy. The family bath is accessed at the top of the landing and offers plenty of room and storage - dual vanity, separate shower and vintage deep soaking tub. A tuck under garage with electric car charger is connected to the basement featuring a newly finished den with fireplace. Laundry room, abundant storage, full bath and bonus space (currently the pinball lounge) completes the lower level. 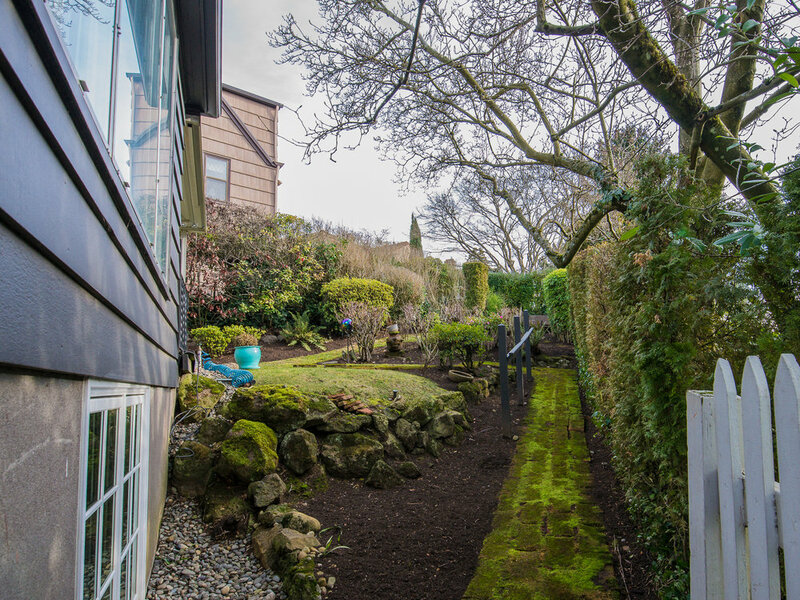 Landscaped backyard with rose garden, covered patio off of the office & roof top deck over the garage allow for fantastic panoramic views of the skyline. Perched above Alameda with views of the City + Forest Park, the proximity of shops and restaurants nearby create an ease of living in this enviable quadrant of NE Portland. Parks abound as well as easy transit to the airport. The upper NE Fremont neighborhood of Beaumont nearby is loved and coveted by all, while to the south the Hollywood district and Sandy Blvd abounds with shopping, dining and entertainment. Just around the corner, this select and speciality market offers a wide range of sundries, produce, fresh flowers and also boasts one of the largest beer selections in town. A neighborhood favorite, this restaurant is open for lunch and dinner. Wood-fired pizzas, delicious salads, pastas & other classic Italian dishes are served in a cozy, bustling dining room. Offering a diverse selection of Italian wines. Lovely bottle shop with cheese for sale to go, or meet up with friends in the neighborhood for a relaxing drink and snack. Outdoor seating available in the summer months. Since 2003, Garden Fever has been a favorite lovely little Northeast Portland neighborhood nursery. Visitors will find a wonderfully curated collection of plants from OR & WA nurseries along with a well-stocked hardware section.